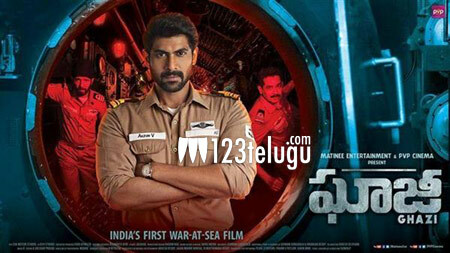 Rana Daggubati’s period war drama, Ghazi, is all set to hit the screens on February 17th amid a huge positive buzz. The film, Indian Navy’s heroic tale in the mysterious sinking of Pakistan’s PNS Ghazi submarine in 1971, is directed by debutant Sankalp Reddy. Interestingly, Sankalp had actually planned to turn his idea into a short film with a lesser known start cast and a shoestring budget of a few lakhs. However, a chance encounter with PVP Cinema and Matinee Entertainments banners and the Daggubatis changed the game altogether for Sankalp and his debut dream. Initially, Sankalp, along with his schoolmate and VFX designer Vasudev, had conceived only 40 VFX shots even though 90 percent of the film’s shooting takes place in a submarine. But with PVP and Matinee’s support, the duo has finally ended up with nearly 700 VFX shots in Ghazi.